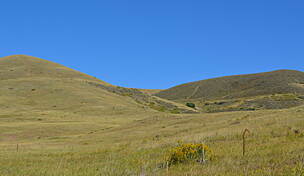 The Happy Canyon Trail runs for just over 4 miles through the communities of Centennial, Cottonwood and Parker on the southern outskirts of Denver. 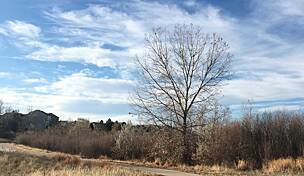 To the north, the trail begins at in the Cherry Creek Valley Ecological Park, a natural area with trails for viewing wildlife. From there, it goes south, heading under the E. Broncos Parkway and through a residential area near the Parker Jordan Centennial Open Space. 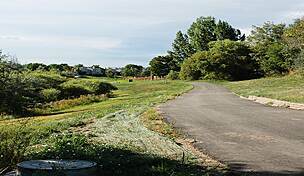 It ducks under three more roads, including the E-470 Toll Road before ending at a juncture with another trail. 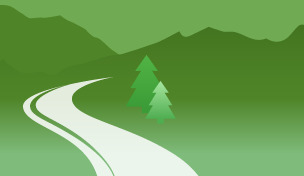 The paved pathway serves as an important connector between two larger trails. 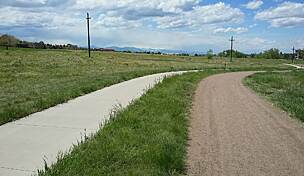 On its north end, it connects to the 40-mile Cherry Creek Regional Trail, which heads into downtown Denver. 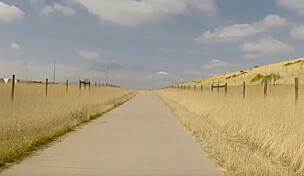 And, to the south, the Happy Canyon Trail connects to the 36-mile C-470 Bikeway, which arcs around the southern and southwestern edges of Denver. 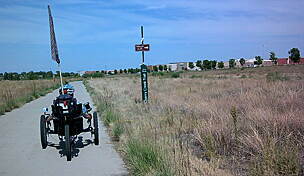 Parking is available in Cherry Creek Valley Ecological Park (7500 S. Jasper Ct., Centennial), at the north end of the trail.